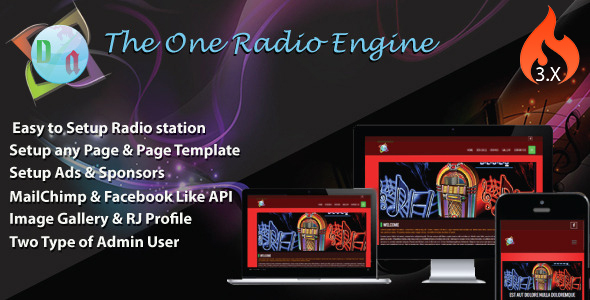 The One Radio Engine is like a CMS thatâ€™s can be help you to create a online radio station website or Online radio shout casting. You can create or remove any page with any customized template thatâ€™s are designed as this formsat. Tow type of admin access that can be more then secure to controlling admin panel. RJ profile, Scheduler, Image gallery, Slider image and user contact inbox also present here. Highly secured Radio Engine CMS, that created using CodeIgniter Framework.